TURIN, Italy -- Fiat and Chrysler CEO Sergio Marchionne said the group would focus on strengthening its U.S. and Brazil operations to offset a weak European market and the lowest Italian sales in 20 years. With the U.S. and Brazilian markets now the biggest contributors to the combined group's profit, Marchionne stuck to his 2011 and 2012 targets despite a bleak outlook for Europe. Fiat has been running Chrysler since a 2009 bailout deal with the U.S. government and has a 53.5 percent stake in the U.S. automaker -- set to rise to 58.5 percent by year-end. 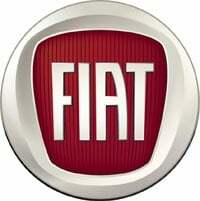 Fiat, which from June this year incorporated Chrysler in its results, is targeting combined sales of around 85 billion euros in 2012. Third-quarter results are due on Oct. 28. "2012 will not be a great year for the European market," Marchionne told reporters Wednesday on the sidelines of a presentation. "We need to work to strengthen our position in the United States and Latin America." Data released on Tuesday by the European Automobile Manufacturers Association, or ACEA, showed Fiat sales in Europe fell 12 percent in the first nine months of the year to 749,417 units and its market share dipped to 7.2 percent from 8.1 percent a year ago. By contrast, Volkswagen's sales grew by 8.1 percent to 2.4 million. Fiat's shares have lost nearly 30 percent of their value since the beginning of the year. Marchionne said Fiat's poor performance in Europe was mainly due to the weakness of the Italian market which "is reaching levels not seen in the past 20 years." "Italy has lost 700,000 cars (since 2008), which for Fiat means a loss of 210,000 cars ... There is no point in looking for new models," he said. But he said the group had no plans to exit Italy, a prospect feared by local union leaders who have called a one-day strike at Fiat's Italian plants for Friday. Fiat's five car factories in Italy are all loss-making and, as the group pushes for more flexible labor deals to cut absenteeism and boost productivity, unions have voiced concern that it could shift more production outside the country. "It's a very bad idea," Marchionne said of the strike organized by radical metalworkers union FIOM. "It is certainly not the way to encourage investments in Italy." Marchionne confirmed that his aim was to create a single operating unit between Fiat and Chrysler, with a merger as the end goal. He still needs to decide what to do with the 41.5 percent of Chrysler which is held by the VEBA union trust fund. "I do not think it is a good moment to talk about buying the VEBA stake," Marchionne said. Reacting to the downgrade of Fiat's debt rating by Fitch on Tuesday, he said it would have no impact on the group as it has "enough liquidity to deal with our requirements for quite a while. The good news is part of our business is in good shape and generating cash ... Europe is a source of concern." The group targets 18 billion euros in cash and 5 billion to 5.5 billion euros of net industrial debt by the end of 2011. Marchionne also said he had no intention of selling Fiat Industrial's agriculture and construction equipment unit CNH in answer to a question on interest from U.S. rival Agco Corp .
"The company is not up for sale, I have no intention of selling interests in CNH to somebody else," said Marchionne, who is also chairman of Fiat's truck and heavy equipment arm Fiat Industrial.